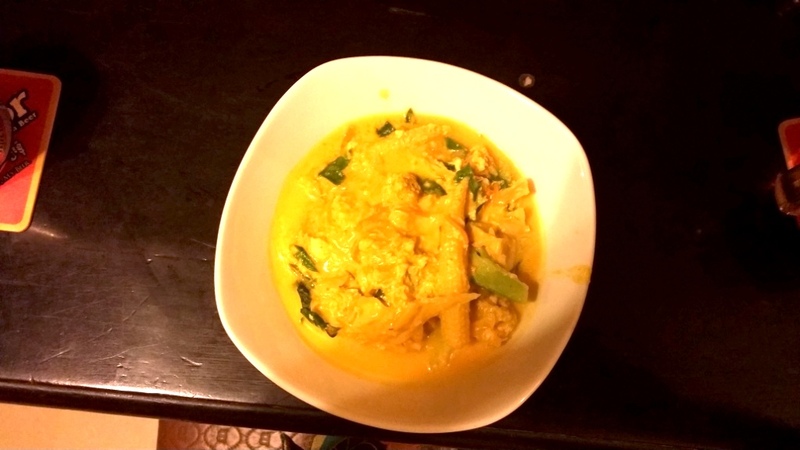 Amok | A coconut based curry dish served with rice is a popular Khmer dish. 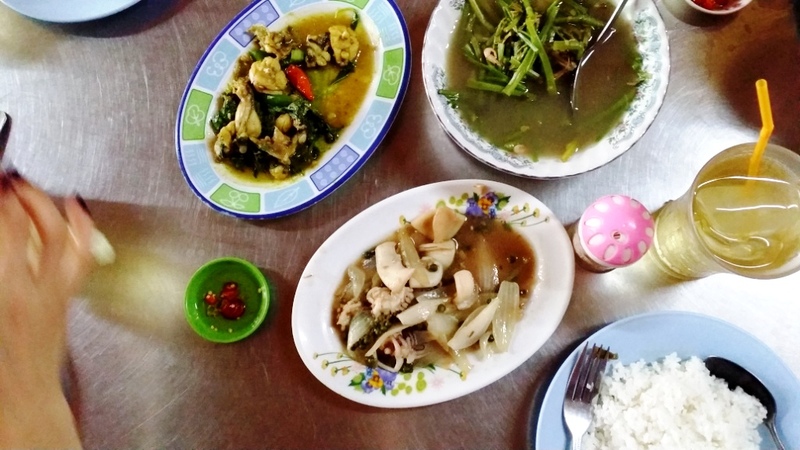 This tasty dish is made using different meats (fish being very common) or using vegetables only. Nom Banh Chok | Delicious noodle soup fondly known as Khmer noodles. Typically eaten in the morning, you can find street vendors selling this rice noodle topped with fish curry and vegetables. Morning Glory | A green hollow stemmed vegetable that grows in this region is the main ingredient in this dish. Part way between celery and spinach, it can appear in several dishes. 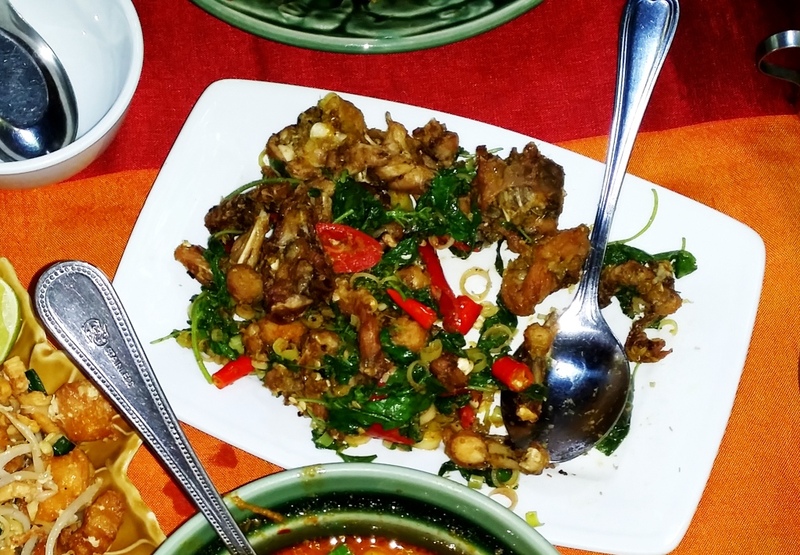 Khmer Style Spicy Frog | You may have tried frog legs in a French restaurant before, but this spicy crumbed and fried frog dish is sure to delight. This tasty dish has somewhat of a chicken flavour to it, just watch out for the little bones. Insects | Anything deep fried tastes good, right? 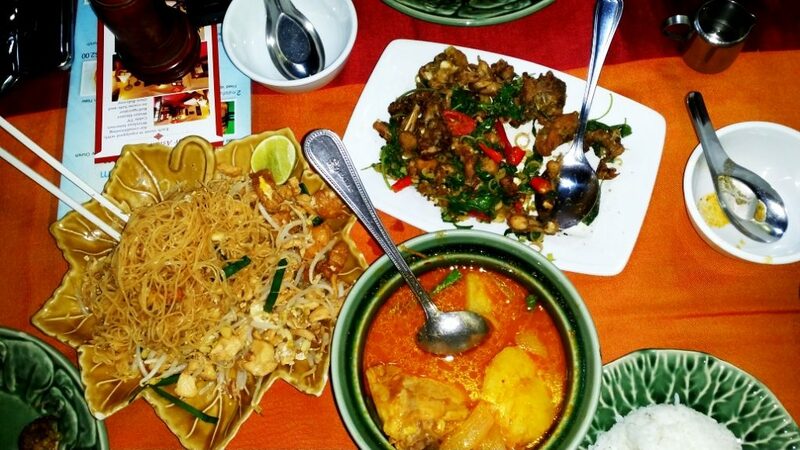 Well then jump in and try a wide selection of insects on the menu across Cambodia. 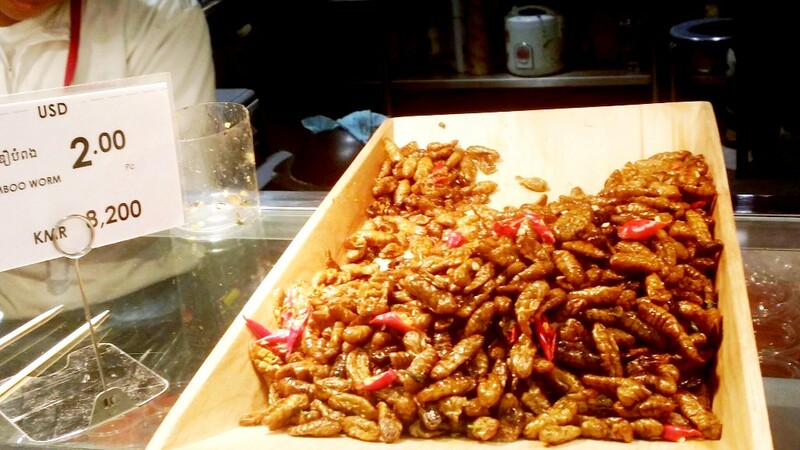 Insects can be prepared in their whole form or cooked within a dish (eg in stir fries or curries). From ants, tarantula’s, cockroaches, grasshoppers (particularly tasty!) to worms pictured below, each have a unique taste and texture. This is bound to be a conversation piece when you return and tell friends about your adventures. 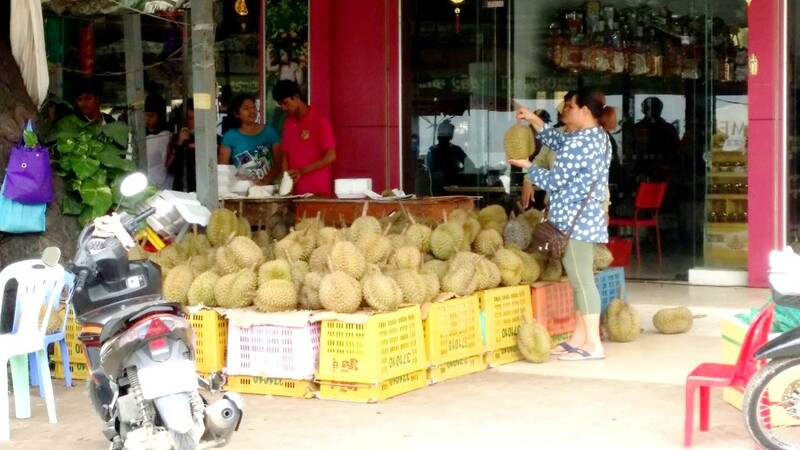 Durian Fruit | Fruits in general are widely available and quite exotic to the foreign eye. From delicious mangoes and dragon fruit to rambutans and mangosteen, you are in for a treat. However the top of the fruit-chain can be identified by the Durian. A large spiky fruit, very popular in the region, requires an acquired taste. Tasting more like caramelized onions the flavour changes from sweet to a spicy hot end. Again, give it a go! You;ll find street vendors selling this and other fresh fruits in the streets. 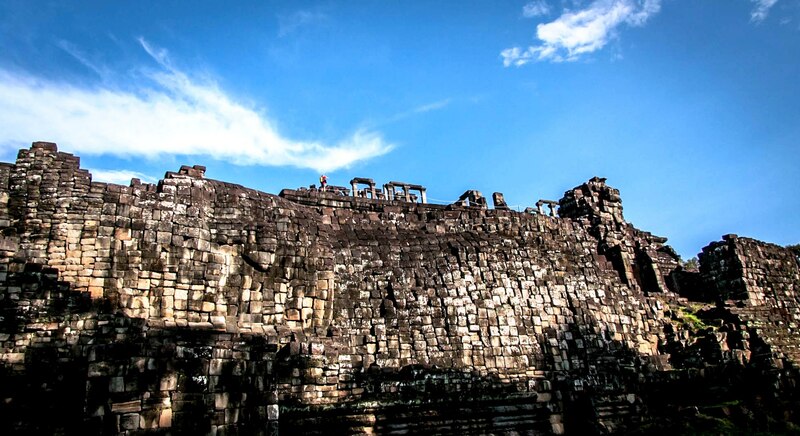 Khmer Drinks | There are a couple of drinks well worth the mention to try while in Cambodia. One is the coconut shake pictured below. 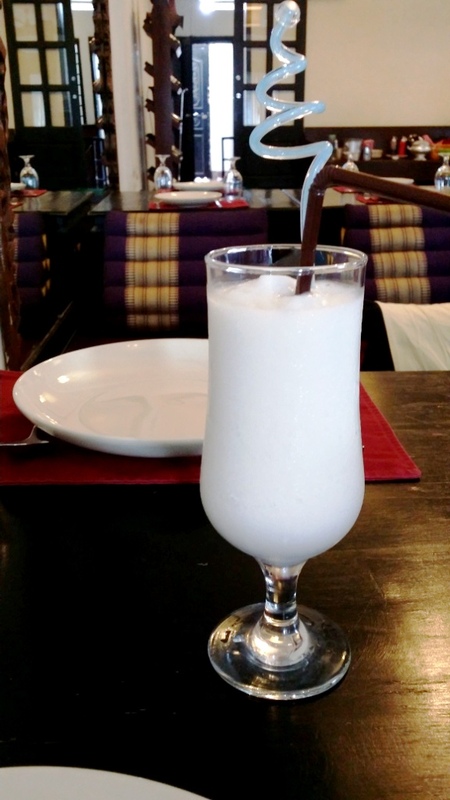 This fresh coconut drink is very refreshing and sweet, serving as a bit of a dessert at the end of a meal. 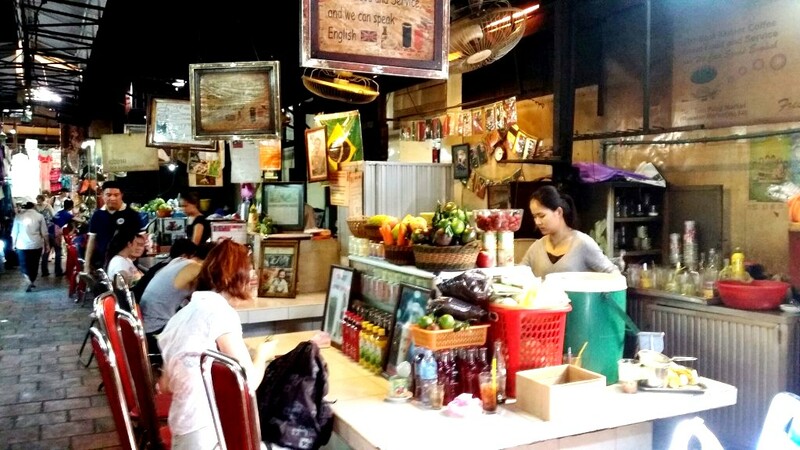 At select cafes and stalls at markets (pictured below) you can find a range of other deliciously refreshing fruit smoothies available. Yet another drink worth a try is the Khmer Iced coffee. Brewed on the spot and mixed with sweet condensed milk, this one you’ll crave once you go back home!